This year's conference will be held at the Gates Corporation in Denver, Colorado. The original room block at the Marriott SpringHill Suites Denver Downtown has sold out. NAEM has reserved an additional room block at a neighboring hotel, the Renaissance Denver Hotel. The hotel is an 10 minute drive to the conference location at the Gates Corporation. Denver City was founded in November 1858 as a mining town during the Gold Rush. 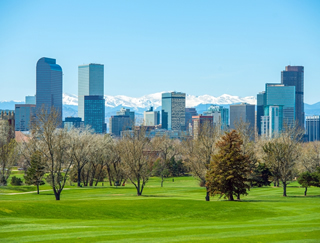 It's the largest city and the capital of the U.S. state of Colorado and sits on the foothills of the Rocky Mountains. The Denver, Colorado area is served primarily by Denver International Airport (DEN). The airport is in northeastern Denver. It is located about 30 minutes away from the conference hotel location. You can find specific information on the airports on the airport's website. Taxis from the Denver International Airport will average around $50. For more details, contact Ray Long, Program Manager, at ray@naem.org or at (202) 986-6616.